If you weren't among the chosen few who got to handle Apple's new iPhones at the company's special event Tuesday, blindly choosing the right size iPhone 6 to pre-order later this week could prove stressful. 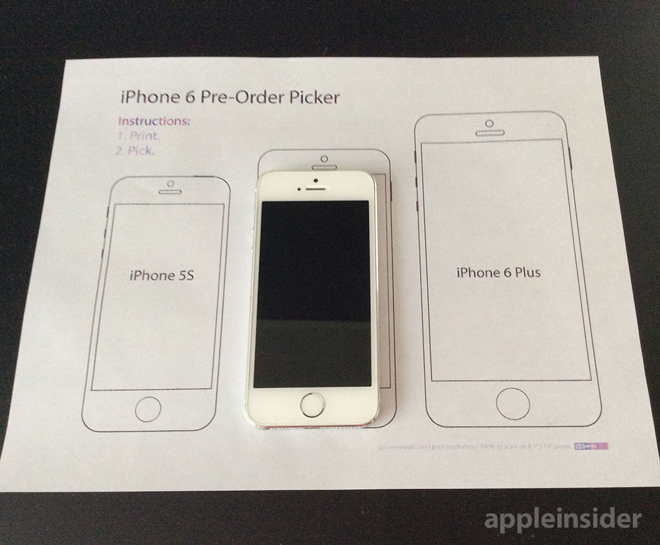 But a new printable iPhone pre-order picker may offer a helping hand. AppleInsider reader Jeremy Anticouni threw together this handy PDF, which when printed on standard 8.5" x 11" printer paper at 100% scale will display the footprint of Apple's current iPhone 5S alongside that of the larger 4.7" iPhone 6 and the 5.5" iPhone 6 Plus. 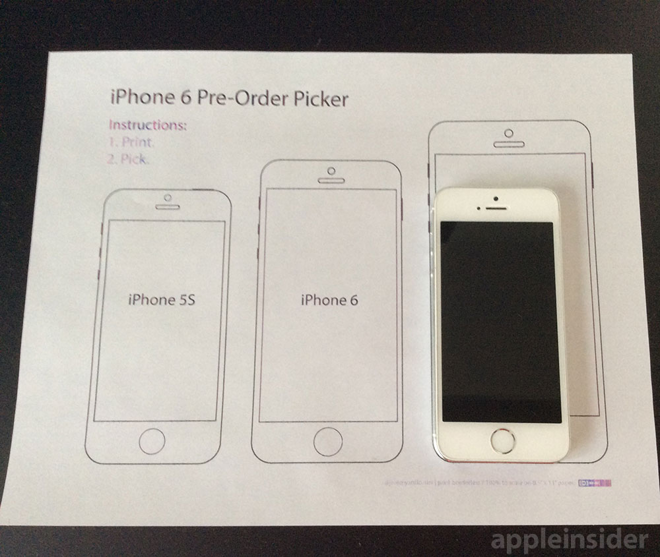 Some readers may be able to determine their desired iPhone 6 model simply by observing the footprints side-by-side in the printout, while others may choose to print the PDF and then cut out the individual iPhone outlines so they can emulate placing the various size devices into their hands, pockets or purse. 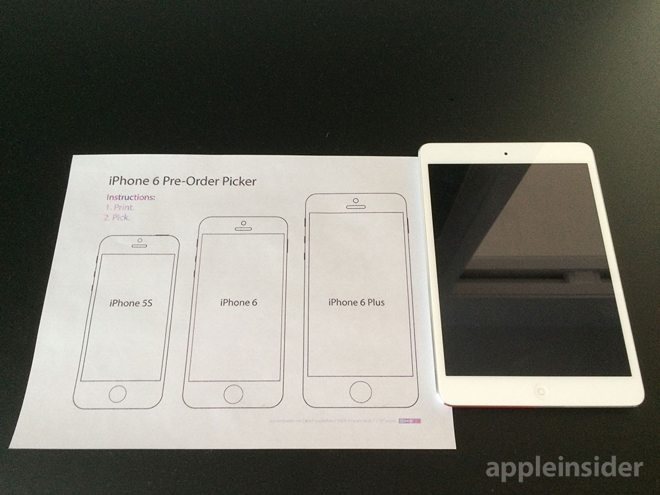 The first of the two photos above shows a current iPhone 5s sitting atop the outline of Apple's new iPhone 6 Plus, while the second photo compares the size of the Plus to Apple's current iPad mini with Retina display.